Recently I have been testing and playing with small, inexpensive and off the shelf devices. I wanted to find out if these devices can be used effectively in the experiences we create in our custom work. 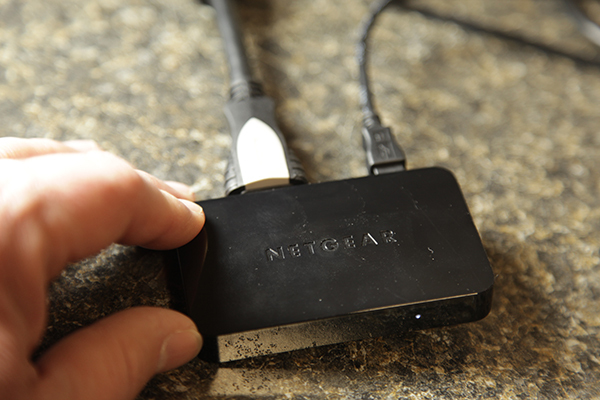 While testing a device called a NETGEAR Push2TV (PTV3000), which retails for about $60. 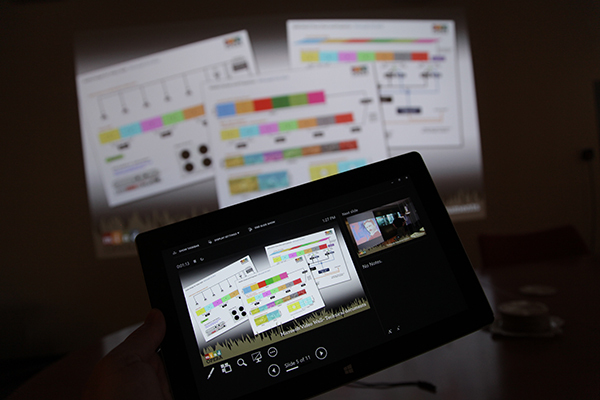 we discovered a small device that is very useful as a presentation tool. 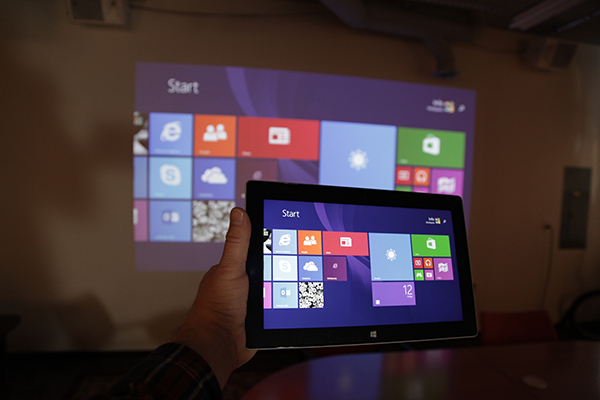 My example uses a Surface Pro2 as the mirror device, a projector and the Push2TV. Once the Push2TV was connected and powered, all I had to do was discover it through Devices/Project on the Surface, key in the code given on screen from the Push2TV and it started projecting my Surface screen. After the first connection it will just connect without entering the code. The beauty of this product is that it does not need a WiFi connection to work, it is creating it’s own connection. The Push2TV can also connect to other devices like Android phones, Amazon Fire and Windows 8 computers. The device must support Intel WiDi and Wi-Fi Miracast to work. I always think of entering a conference room to give a presentation and fumbling around to find the right connector, now I bring a Push2TV, plug it in, connect the Surface (I’ve also used my android phone) to it and start my presentation. 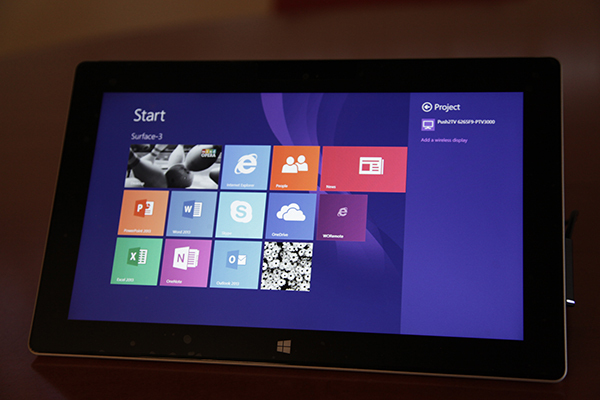 If I am using PowerPoint on the Surface device, PowerPoint will go into presenter mode and will extend the screen. What I see is the presenter screen, what the audience sees is the presentation. It’s a very slick device and will only get better as time goes on. There are more and more devices like these coming out and I would assume that the technology will be embedded in more and more devices like monitors and projectors. I like when technology is simple and useful.